One of the most asked questions I get is “How do you afford to travel?” And while there is no simple answer like a trust fund or winning the lottery that miraculously lets me travel the world, the answer mostly depends on saving as much as I can while spending the least amount. 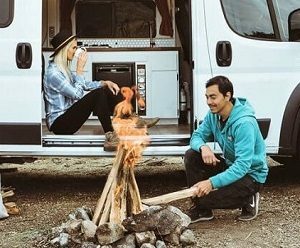 In my previous article How To Afford To Travel Full Time I covered different ways how to save money before traveling, but it would not last long if I was not smart about ways I spend it too. You could spend all of your savings on one trip if you don’t plan it right or you could make it last over multiple trips, months or even years like I did. But in order to be smart about spending, you need to have a good understanding of what everything costs and if it’s within your spending range. 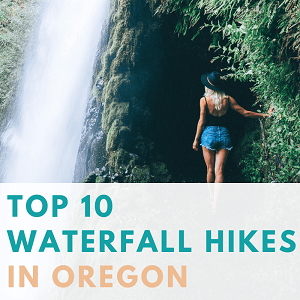 Often times trying to figure out answers to these questions can be overwhelming so most people don’t do it at all or just put everything on their credit cards and deal with it when they return from their trip. This is something that my younger self would have done. But now that I’m older (and hopefully wiser) I have realized that being prepared is always the better choice. Why Create a Travel Budget? In this article, I want to help you create a travel budget for your next trip. 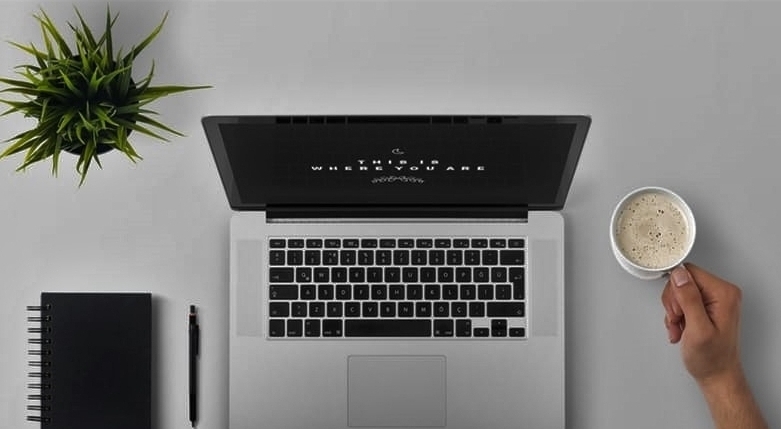 Taking a few minutes to write down your expected costs will give you a better understanding how much you can spend on a trip, how much time you need to save for that trip you’ve always dreamed of and if it’s something achievable. If I had done this sooner, I would have realized how cheap traveling really can be. For example, when I was younger I always thought international traveling was out of my reach. Yet if I had sat down and written out all the potential costs I would have realized that a trip to Bali or Mexico City is much, much cheaper than spending a weekend in Vegas. No joke! Creating a budget is like creating a road map that will help you get to your destination. Maybe it’s the accounting geek side of me from working in Corporate Finance for 6 years, but I LOVE spreadsheets (you don’t hear that too often, right?). I have created a simple travel budget template for you to fill out with the typical items that people spend money on during their trips. Note: You must have Google Drive and be using a computer in order to access this file. Once you open the link, click “Use This Template” to get started. Once you open the Excel File, make sure to click “Enable Editing” to get started. 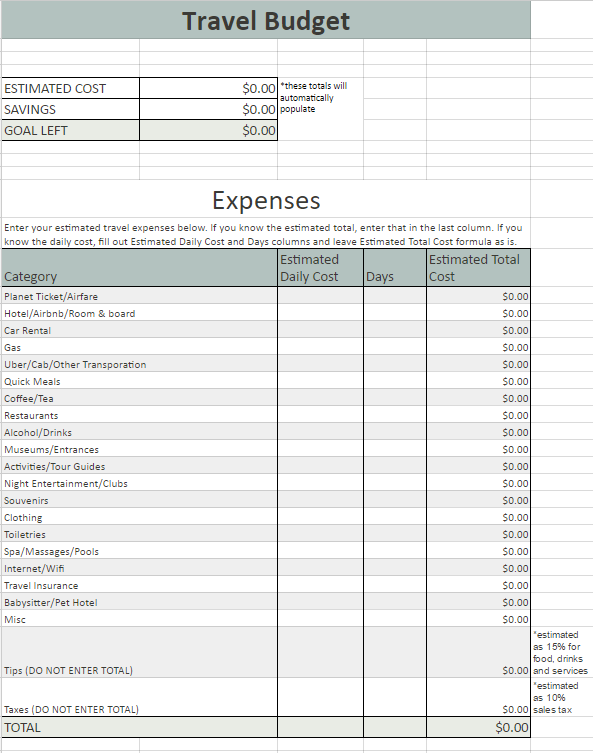 Save this template on your computer and start filling out the estimated costs in the Expenses section as you’re doing research and booking your plane tickets, hotels, etc. Once everything is filled out, this should give you a pretty good estimate of how much everything will cost. It doesn’t have to be perfect, but it will help you figure out how much you will need to save for your trip and potentially stay out of credit card debt. I Have Totaled My Expenses, Now What? Now that doesn’t seem so bad, right? Thinking in smaller amounts will help you attain reasonable goals and stay on track. By obtaining these small accomplishments it takes away the pressure that we often put on ourselves from goals that feel too far out of our reach. 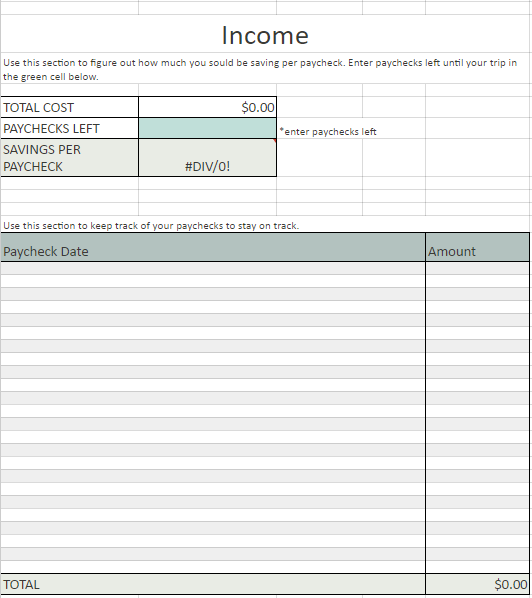 Use the second part of the spreadsheet labeled “Income” to figure out your needed monthly paycheck savings and to keep track of these savings until you have reached your goal. 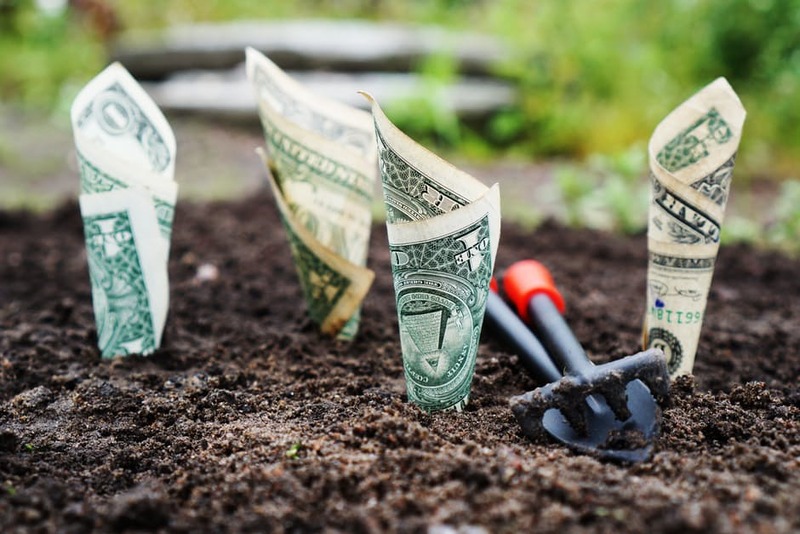 If you prefer to keep track within your bank account, just about any bank nowadays will let you add a “goal” within your account to which you can add money and monitor your progress. Now that you have the budget, the most important part is sticking to it. 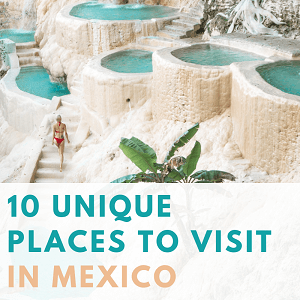 When you travel you will be constantly faced with tough choices like upgrading your plane ticket, splurging on a dinner or finding cute souvenirs. Oftentimes saying “yes” is so much easier than saying “no”. If you have the extra cash, great! Go for it! But if you have a tight budget and no wiggle room, don’t go into credit card debt just to have more leg room on a plane. The worst kind of souvenir to bring back from a trip is a credit card bill you can’t afford. I hope these tips and the Travel Budget Template will help you prepare better for your future trips. Planning and figuring out personal finances can often be overwhelming, but it doesn’t have to be. The sooner you start practicing good habits, the sooner it will become like second nature to you. Traveling does not come easy, but if you are truly set on traveling the world, tools like this Travel Budget will help you achieve those goals sooner than you think.